YOUR VERY OWN PIECE OF HEAVEN! Almost 3, 500 finished square feet! 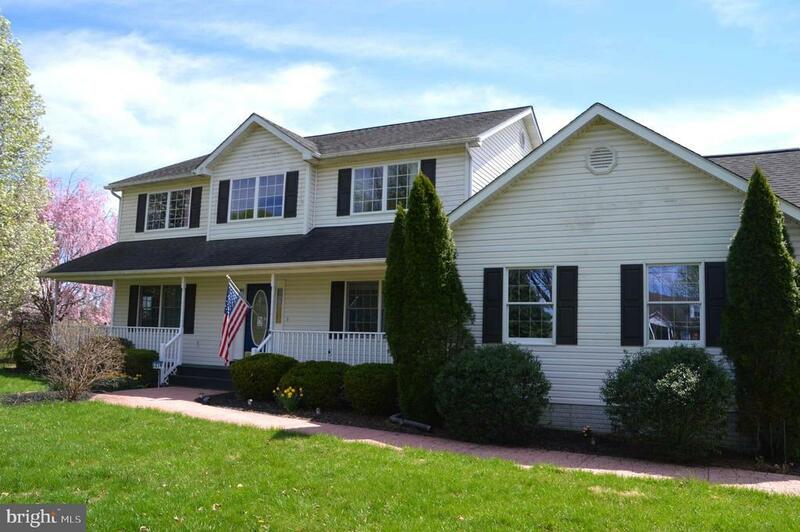 Beautiful custom built colonial with wrap around porch and oversized two-car garage includes a large master bedroom with walk-in closet and lovely master bath, excellent spacious floor plan, two-story foyer, gas fireplace in family room, spectacular views from kitchen and family room, and upgrades from hardwood to landscaping to rear deck. All on over two acres with amazingly gorgeous mountain views. Level lot that boasts absolutely gorgeous flowering trees in an awesome location. Lower level is nearly complete with only flooring and lighting missing! A basement bath is also roughed in and framed for potential FOURTH full bath! You truly do not want to miss this when seeking the perfect home for your family, while your pups get the benefit of their invisible fence! Gracious owners are including their riding lawn mower AND snow blower! Centrally located near golf courses, shopping and restaurants. Excellent commuter location near I-66 and only twenty minutes from Winchester.